Concrete Repair Chicago: Concrete Crack Repair or Replacement? Have you just moved into your home and realized that the cracks in your driveway, garage, or on your sidewalk are worse than you first thought? Or have you been at your home for a while and just recently noticed that your concrete steps are starting to sink? You may have an air or water pocket underneath your concrete. 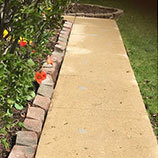 You could easily call a concrete pouring company to come and tear up your old concrete and pour new slabs, but there’s no guarantee that they’re going to pour it correctly, or that they’ll fix the root problem. Lifting your concrete is a great alternative to paying the very high cost of having all of your concrete replaced. On average, B & B Concrete Lifting can save you you between 50-70 percent compared to replacing the concrete on your property. Not only are you saving a lot of money, but you also won’t have to deal with noisy, dirty, and time-consuming construction that renders all of your concrete unusable until it is poured and dried. Concrete lifting can be completed within a matter of hours, not days. It also doesn’t leave a large mess on your property, because the material that we use is pumped underneath your concrete slabs. You also won’t have to worry about the horrible noise of jackhammers disturbing you or your neighbors. Call us at B & B Concrete Lifting today. 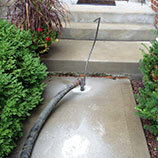 We can come to your property and see how we can save the concrete you have. 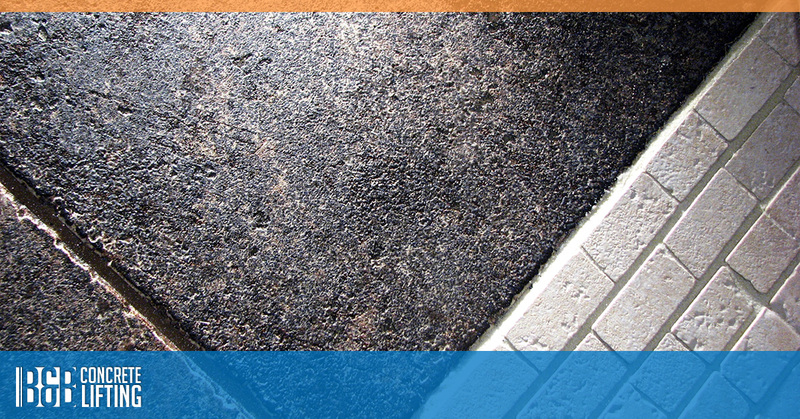 We pride ourselves on working extremely hard to save you money, and make your concrete look better. There isn’t much damage that we can’t fix. 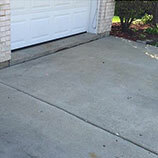 We can lift large and small sidewalk, garage, and driveway slabs. 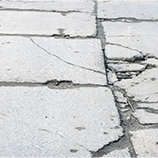 As long as you don’t have dozens of cracks that are very close together, we can probably repair your concrete.